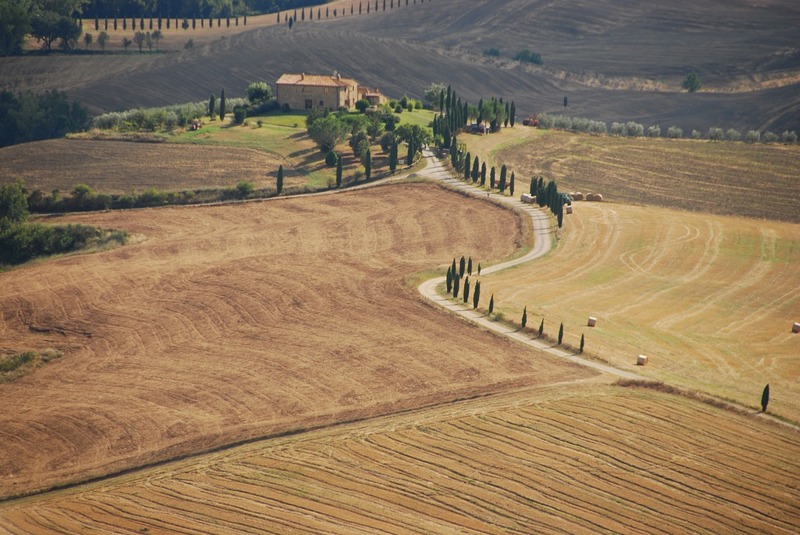 Tuscany is indeed one of the most beautiful regions in Italy. Visited by millions of people every year, the region is well known for its breathtaking panoramas, exquisite food, and great wines. It sure can be a challenge to explore Tuscany to the fullest, especially if one is visiting the region for the first time. When traveling to a new place, one needs to plans ahead and prepare a list of the tourist attractions. They must take the transportation into account and the costs involved for lodging and food. Thankfully, there are some great villa rentals in Tuscany located in the most beautiful part of Italy. You not only get excellent services but at the most affordable prices too! Book in advance as these villas are always overbooked. 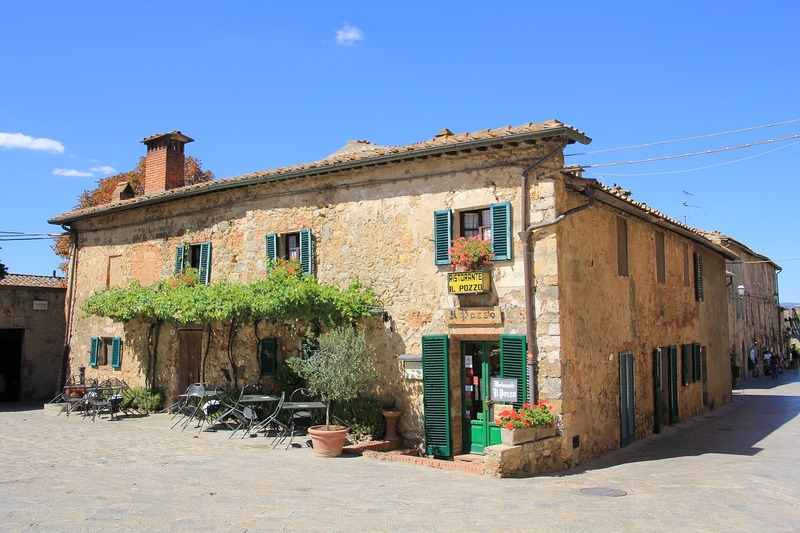 If you are in Tuscany only for a couple of days, then here are some places you absolutely must visit. It's a must to explore the magical and charming city. 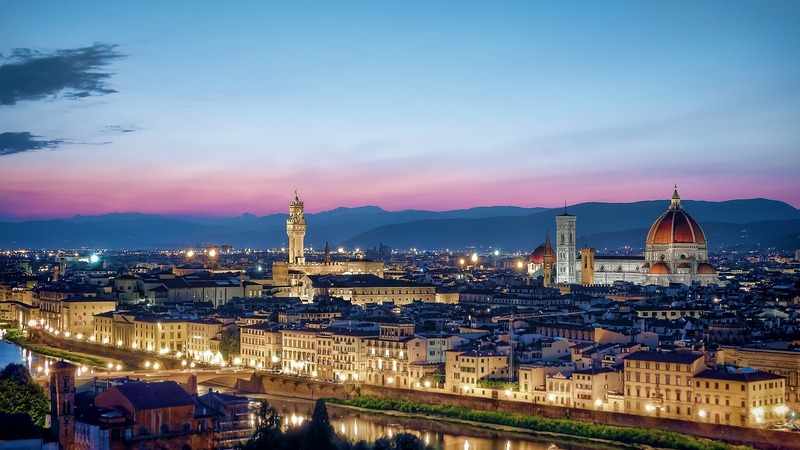 Known as the Cradle of Renaissance, Florence the natural way to start your Tuscan trip. Seeped in history, there is so much to do and see here. You can stroll through its streets and visit the main museums, palazzos, monuments, churches and more. The city has so much to offer and is sure to keep busy the whole day! Cathedral’s Dome, Uffizi Gallery, Church of Santa and the “David” at the Accademia is a must-see. Do visit Volterra, which happens to be one of the most beautiful hill towns of Tuscany. As is apparent by its medieval and Renaissance buildings, the walled town boasts of a well-preserved past. The must-see attractions include its Roman theatre Etruscan sites. Explore the Piazza dei Priori, Palazzo dei Priori and the Palazzo Pretorio as well as the Roman Amphitheatre and the Romanesque Cathedral and its Baptistery. 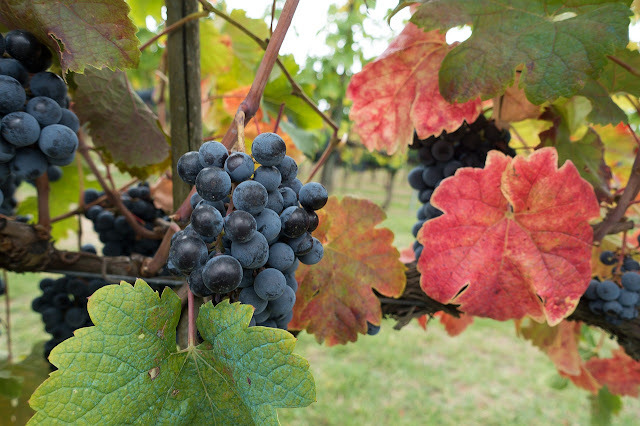 When you mention Chianti, you get visions of iconic vineyards and olive trees spread all over the Chianti areas. Located just a few kilometers south of Florence, you can always take a car or a bike trip across a series of country roads. You are sure to find yourself in a food and wine paradise. Chianti Classico route that touches Greve in Chianti, Gaiole and Castellina towns is the most popular. Discover some hidden gems in this beautiful area along with wine and olive tasting. 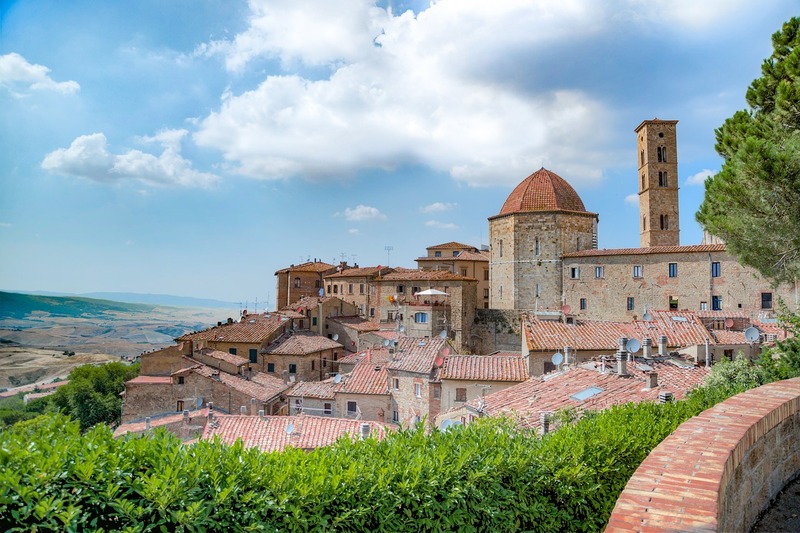 When you visit Val d'Orcia, you will feel that that image of Tuscany with great vineyards, lush green fields, and vast rolling hills holds true. This area boasts of some very famous towns such as Montalcino, Monticchiello, Pienza, Montepulciano and Bagno Vignoni. In fact, the whole area is a UNESCO World Heritage Site, and each visage is unique in itself. Another top in your list should be the Leaning Tower of Pisa. When in town, make sure that Piazza dei Miracoli is not the only stop as there are loads to see. Head towards Borgo Stretto, Piazza dei Cavalieri, and Piazza delle Vettovaglie. Explore some noteworthy spots such as Palazzo Blu and San Matteo Museum and not to miss, the beautiful “Chiesa della Spina” church. 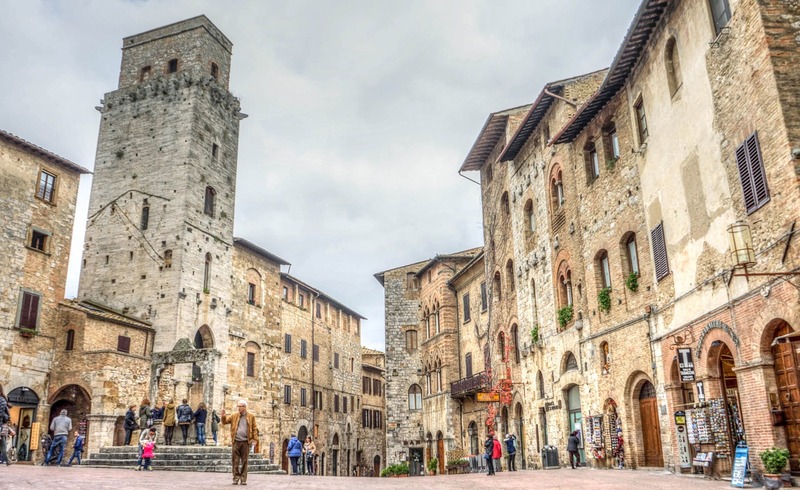 San Gimignano is indeed one of the most beautiful hill towns of Tuscany. Well known as the medieval Manhattan, the town is surrounded by an expansive countryside. Characterized by narrow streets and stone towers, Piazza del Duomo is the main square. From here you can gaze at sights of the Palazzo del Popolo, Palazzo del Podes, and the Loggia. The surrounding countryside of San Gimignano produces the famous Vernaccia wine. 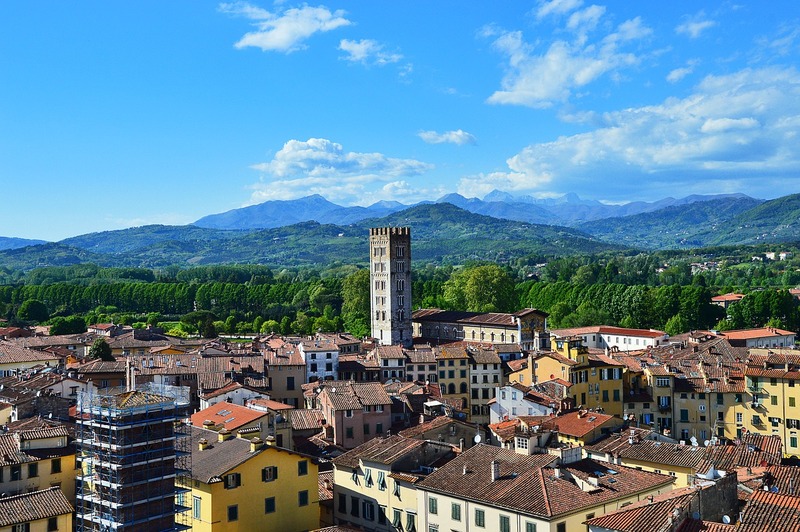 Lucca is famous for its perfectly preserved 16th-century walls. Nicknamed the “city of 100 churches”, a great starting point is to take a tour of the kilometer walkway that overlooks the town. Make a visit to Piazza Anfiteatro, Guinigi tower, San Martino Cathedral, and the S. Michele square. 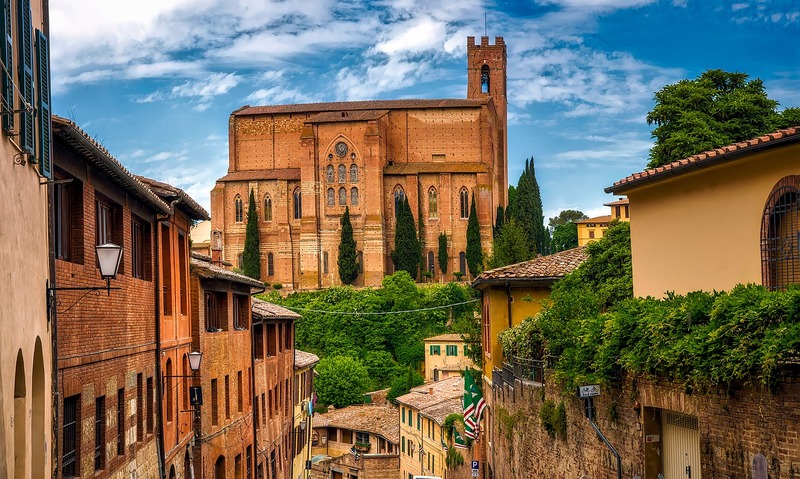 Do include Siena in your itinerary as this is indeed a charming town with a unique history. Explore the city as you walk on those cobblestone streets lined by brick buildings. Siena is famous worldwide for the Palio which is organized on July 2nd and August 16th. Enter the unmistakable shell-shape heart of the city referred to as Piazza del Campo. You can gaze at the 88 meter Torre Del Mangia from here. Another must-visit is the Cathedral with a magnificent marble mosaic floor and a spectacular interior. Another famous Tuscan hill town in the countryside is Monteriggioni. The hamlet is home to the ten-meter-high fortified walls and the fourteen towers that are well preserved and can be sighted from afar. One is already in the middle of the village as they enter the medieval doors. Monteriggioni is visited not just by tourists but also pilgrims from all over the world. 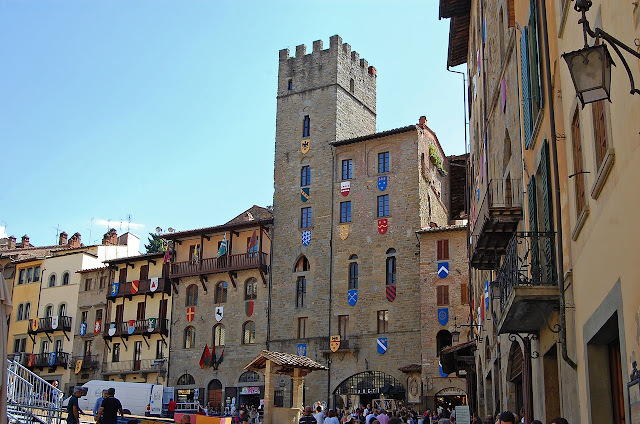 Arezzo boasts of plenty of monuments, museums, and churches. The well-preserved city center carries as ancient origins and offers its visitors a chance to go back in time. A good starting point is from Piazza Grande and sees Palazzo delle Logge as well as Loggiato Vasariano that were designed by Vasari. Another important stop is the Basilica of San Francesco and Cappella Bacci. You must not miss the Romanesque church of Santa Maria della Pieve and the Museum of Medieval and Modern Art. There is actually a lot more to Tuscany than the above-listed spots and sites. Try to fit all the tourist attraction in your itinerary but if time is limited, just pick the most important sites. Today we were able to witness a glittering spectacle that defies gravity and belief. Tomorrow Dec 25 until Jan 3, you can also witness the same magic, a big-scale circus production featuring an electrifying show of acrobatics, aerial tricks, white knuckle stunts, and precision skills, Le Grand Cirque’s world-class performers from Europe, Canada, and the UK will be at the Smart Araneta Coliseum to perform before the Filipino audience. This is now your chance to treat your family to a night of thrill and excitement that Christmas usually brings. More than 30 world-class international performers, considered as the ‘Next Generation of Cirque du Soleil will be performing for 10 days, a total of 27 Performances, 2 hours show each. From Las Vegas they are now here in town to bring us a real family entertainment. Dont miss out, buy your tickets now. For more information, visit Ticketnet website at www.ticketnet.com.ph or call its hotline at 911-5555. I've been a fan of Eat Bulaga ever since I can remember. However, it never occurred to me that one day I'll have this strong urge to watch the show live at their Broadway Centrum Studio. You guessed right - ALDUB, the accidental love team that caught most Filipinos all over the world in a wild frenzy and foreigners wondering what the social media commotions are all about. Even international news sites like BBC, Bloomberg etc. took interest of the phenomenal love team. I wouldn't get into the detail of how they become so popular but Google can pretty much fill you in with more information about Eat Bulaga's ALDUB and Kalye Serye. 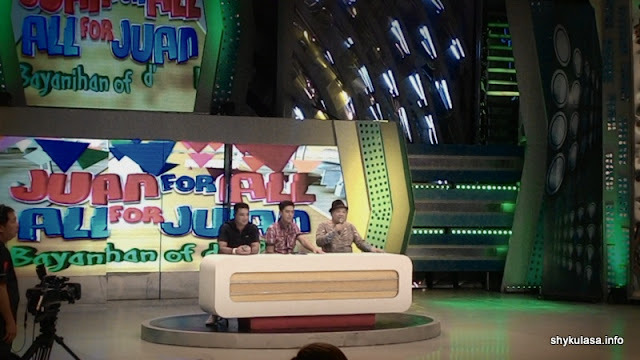 I'm actually posting this entry to share our enjoyable Eat Bulaga experience, as well as show the dynamics inside the studio and how, like us, you also have a chance to become a studio audience. Please note, entrance to the studio is free. We don't have connections with any Eat Bulaga employees or use any influence to get inside. I noticed though, every time I watched Eat Bulaga, they provide special considerations to Filipino balikbayans. That's the advantage we had since a cousin just arrived from Canada and he too became an instant fan of the whole Kalyeserye ensemble. Still smiling after the show while our stomach were already starting to speak in tongues, hahaha. 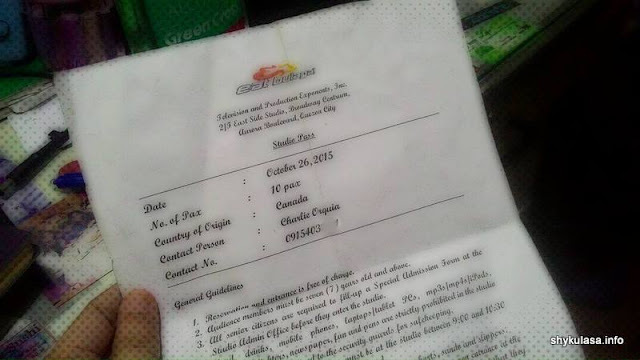 Hand-carry the letter to EAT BULAGA Studio, Broadway Centrum Ave., Aurora Blvd., Q.C. Ask the guard for ALLAN Abiertas, the person in-charge of handling studio audience guests reservations. Once your request is approved, they will issue a studio pass document to validate your studio guest appointment. Bring the document on your day of visit. Be there before 10AM. Kids 7 yrs and below are not allowed inside the studio. Elderly people with health conditions like high blood pressure are advised not to watch inside the studio. Red Cross representatives will check their BPs before the show starts. The list of items not allowed inside the studio are indicated on the Studio Pass. There's a package counter to safeguard those items not allowed inside. Eat enough breakfast before getting to the venue. 10:30 am to 2:30pm without food and water can make some people grumpy. You can only go to the comfort rooms during commercial breaks. However, I heard, their reservations are already filled up until end of this year. Also, balikbayans can only reserve seats during the weekdays. This contact number might help to check if there are still available slots - (02) 631-5501. 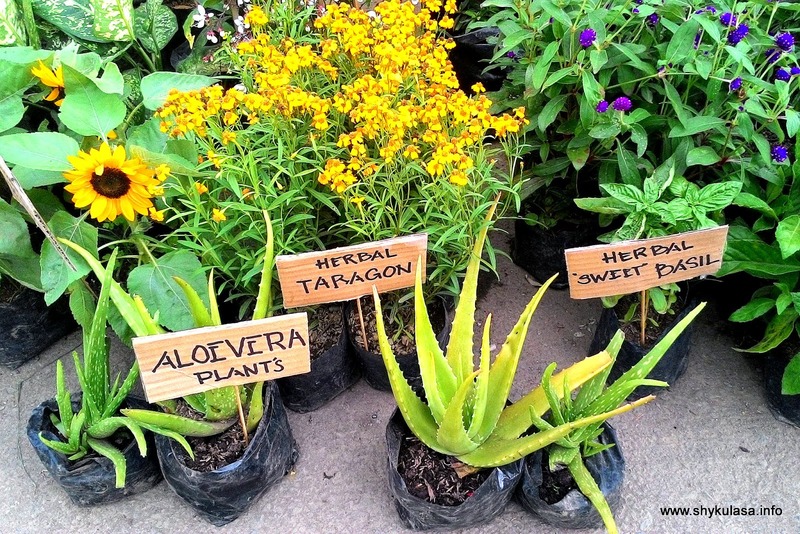 Look for Tonette or Hyacinth. Those 4 hours we spent inside watching, giggling, dancing, shouting and clapping are truly a worthwhile experience. There was no dull moment even during commercial breaks where the two funny gays in-charge with the audience dynamics can get us into fits of laughter with their funny antics. All those people working behind the scene also deserve a nice pat on the back for a job well done. 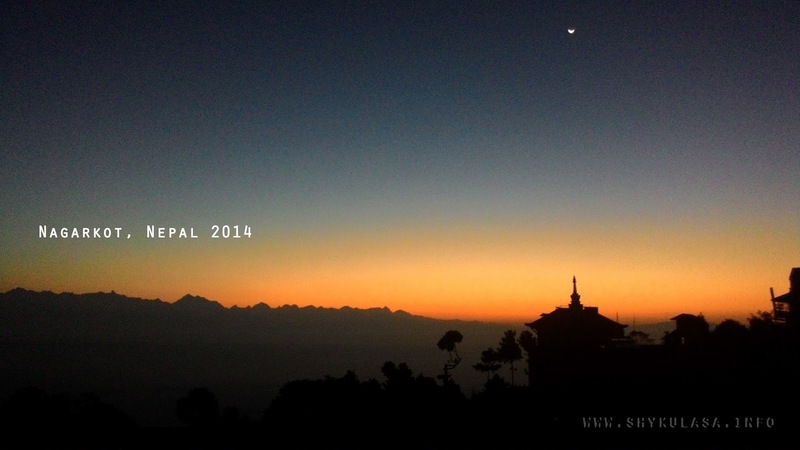 At Nagarkot, Nepal, I had one of the best mornings of my life: Waking up to a great view while sipping a freshly brew. That's the kind of experience I always look forward to each time I have the chance to travel to unique destinations. 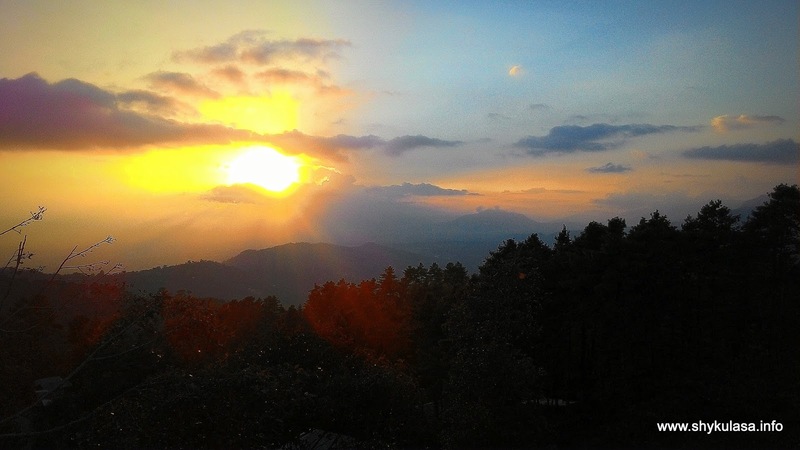 Hence, 7 months had passed, my recollections are still vivid; Freezing mornings made warm by the generous servings of freshly brewed masala tea while the sun is rising and feeling exultant whenever some Himalayan peaks came to view. One of my happiest feelings in the world is waking up to a great view while sipping a freshly brew. Here's what my gopro caught; a short timelapse of the majestic sunrise. 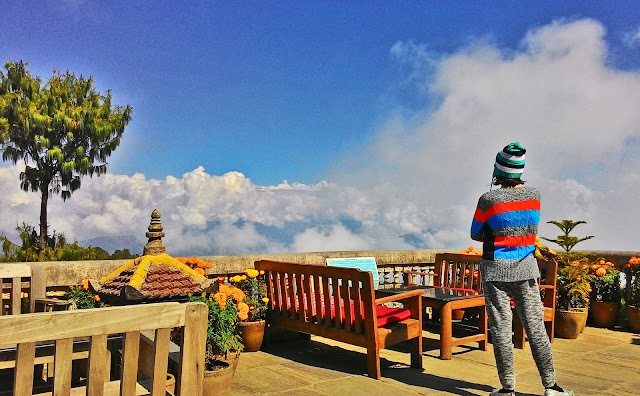 We stayed at Peaceful Cottage Resort, standing at about 7200 feet above sea level, it has a beautiful terrace that boasts awesome views of the Himalayas on a clear day or a sea of clouds if not. In either way the scenery is stunning. For 3 days, we spent time lounging at the terrace, catching the sunrise and the sunset, eating and chatting, and just basking in the glorious afterglow of the sunlight. Some Himalayan peaks appearing over cloudy skies. 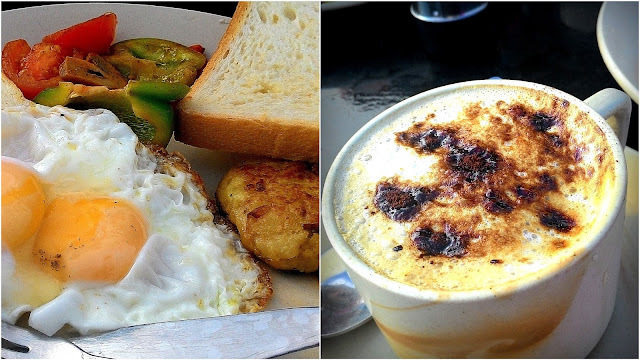 We enjoyed breakfast the most and the generous servings of chai masala tea or cappucino every morning. An afternoon stroll around the farming village gave us a short glimpse of the simple lives of most village folks. During cold, foggy nights, we would crawl up inside the restaurant, order the most appetizing but cheapest meal on the menu and just hang out with some of the hotel guests, warming up to the glow of candle lights, while busy tinkering our smartphones to update our Instagrams and Facebooks. One hour electric power cuts are normal scenarios in Nepal, and most hotels and some households shift to solar power during brownouts. Sleeping time was challenging; apart from the thick blanket provided, I still put on several layers of clothing to insulate me from the cold. The stone wall interior of our room contributed to our shivers. 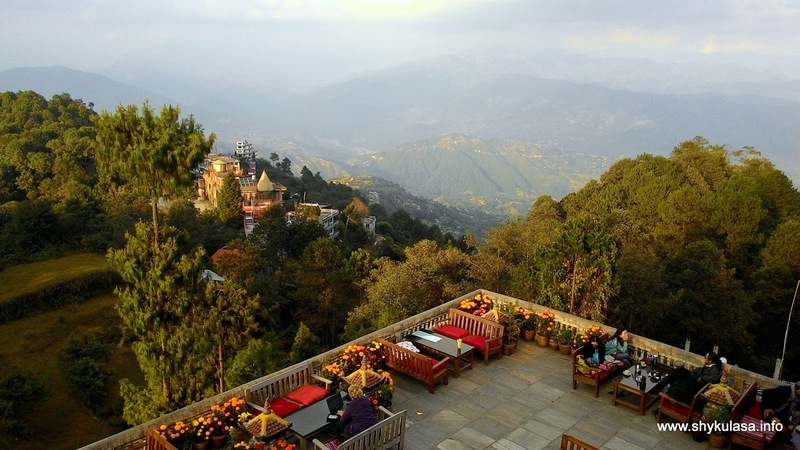 Under any circumstances, the thought of waking up to stunning vistas of the Himalayas, that glorious sunrise and some hearty breakfast are more than enough reasons to visit Nagarkot, Nepal. 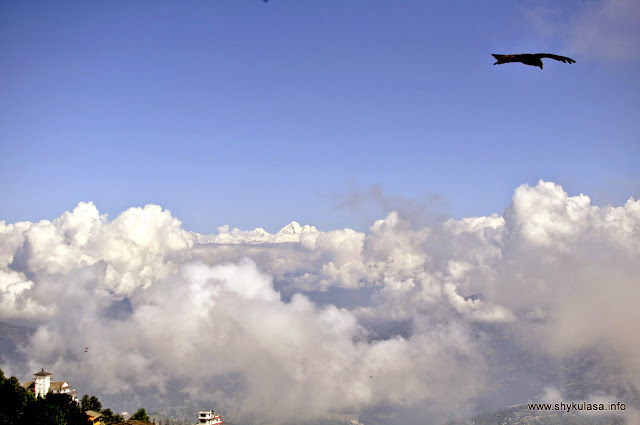 From Kathmandu, a taxi ride would take around 45 minutes to reach Nagarkot. But so much had happened since I visited Nepal; lives were lost, some villages were flattened, many people became homeless and some UNESCO heritage sites vanished as a result of the devastating earthquake that struck Nepal on the 25th of April this year. The first thought that crossed my mind are the nice people I met during my visit and hoping that they're all safe. Thank God, the ones I have a way of contacting are fine! The people from Peaceful Cottage Resort are all safe. From what I've learned the hotel was also spared from some major damage. 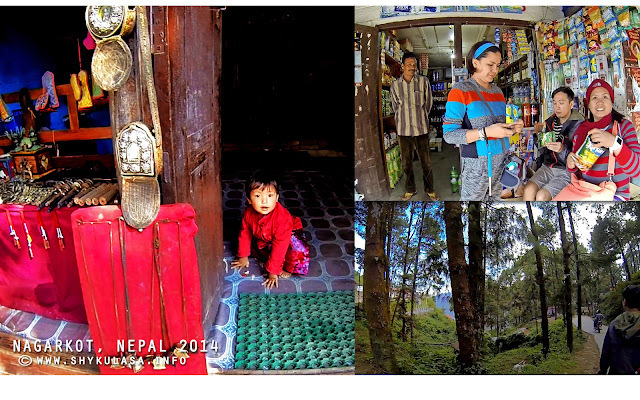 If you want to help Nepal, you can do so by visiting Nepal. Their tourism industry is down because of the misconception that Nepal isn't travel worthy for now. 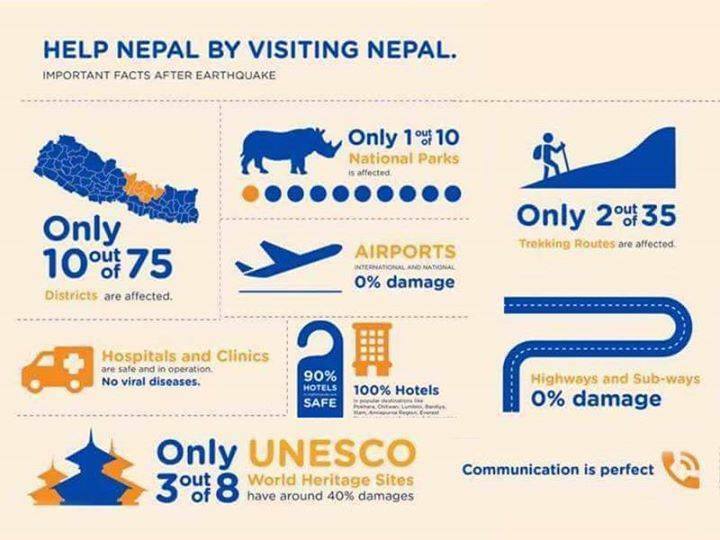 Here are some important facts after the earthquake that people should know about Nepal. 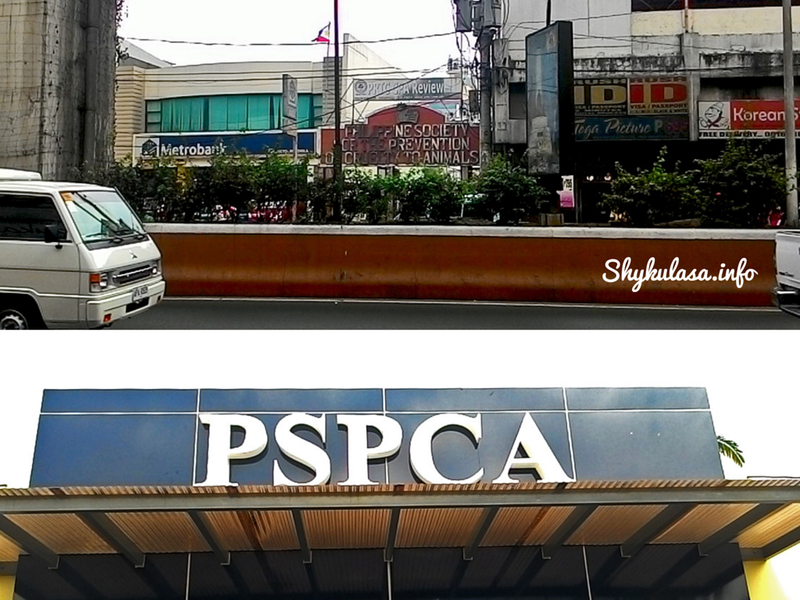 PSPCA stands for Philippine Society for the Prevention of Cruelty to Animals and they've been around since 1904 to protect and promote the welfare of every animals in the Philippines. It's also a pet shelter and a pet clinic in one roof. Thanks to PSPCA! Our dogs' medical bills were reduced to more than a half. There was a time when we spent a thousand a week for 3 mos in this popular pet clinic to find a cure for our dog's skin problems that proved ineffective in the long run despite the expensive treatment. PSPCA clinic is the wiser choice whenever our furbabies have health issues and vaccination needs. Their rates are very affordable and you can expect their doctors and staffs to provide the utmost care for your pets. PSPCA is located at C.M. Recto directly in front of the University of the East. Exact address is 2044 C.M. 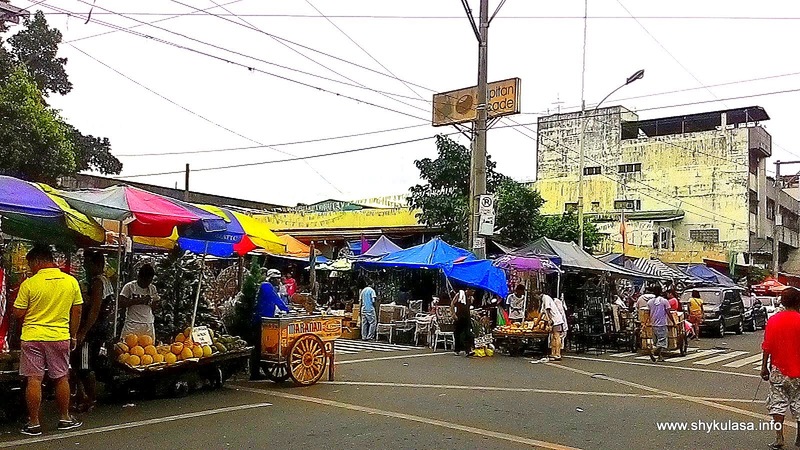 Recto, Quiapo, Manila. They had a renovation last quarter of 2014 to improve their services and facilities. Their new look and feel is a welcome sight. I really don't mind if they slightly increased their fees because of this. Although, I would appreciate more if there will be more attending doctors to accommodate more patients faster and lessen the waiting time. 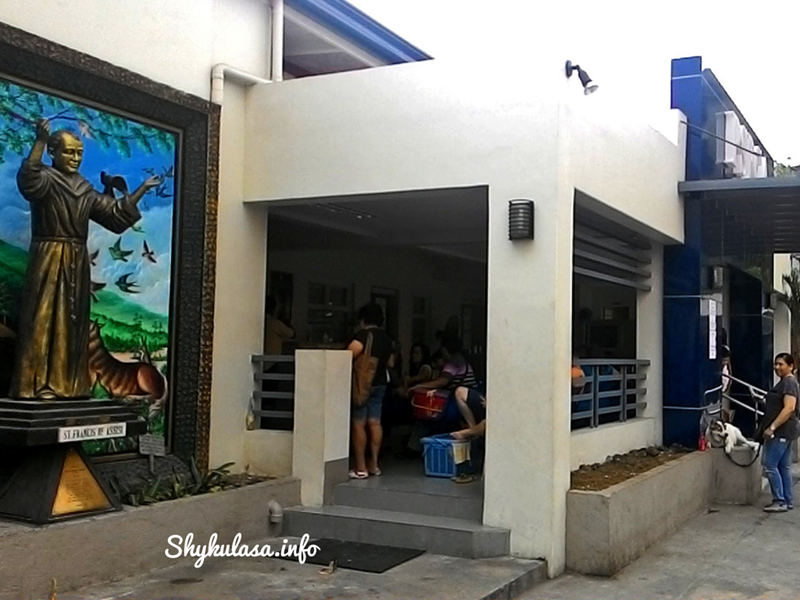 A piece of advise to those planning a visit to PSPCA, expect a long line and long waiting time (like 3 hrs). As soon as you arrived, register at the front desk and then wait for your number to be called. I suggest go there as early as you can, possibly be there just before the clinic opens. Most likely, the volume of people is not as heavy as the afternoon crowd and you and your pet can find a comfortable spot to rest while waiting. As a preventive measure, I usually distance my dog to other sick pets to prevent possible contamination of deadly viral diseases like parvo and distemper. There are usually 4 attending doctors, 1 of which is assigned to vaccinations. 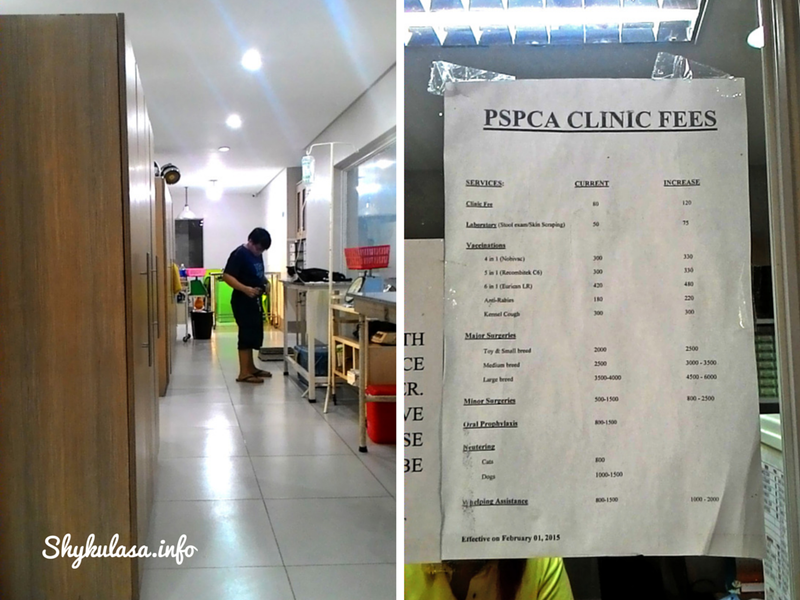 I just wish every pet owners and pet lovers can have easy access to all services of PSPCA. Maybe more PSPCA clinic branches and shelters in the future? I hope! The moment I set foot in this cultural capital of Nepal, I knew what I have to do: capture the beauty of the humans of Bhaktapur (inspired by the Humans of New York ;D ...). And so I did, while in such a short stay, captured a glimpsed of life for some of them living in this ancient city that dates back to the early 8th century. With an area that spreads out to almost 7 square kilometers and 1401 meters above sea level, Bhaktapur gives shelter to almost 100 thousand people. 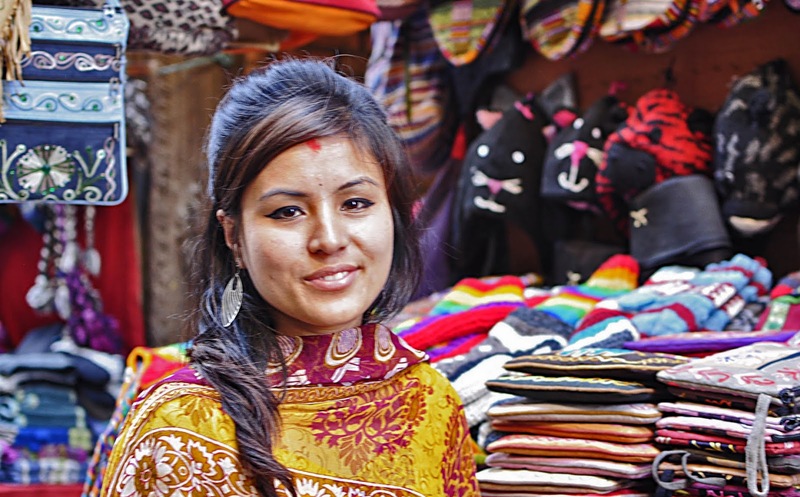 The humans of Bhaktapur are mostly peasants, businessmen, handicraft producers and public employees. Majority of them are either Hindus or Buddhists that exist in harmony despite the differences in beliefs. The main identifiers of the city are yoghurt, the black cap (bhadgaule topi), black saree (haku patasi), and pottery and handicrafts. They may be a bunch of nosy kids hanging around the Taumadhi Square, checking every tourist who sets foot in their city. However, if you are willing to listen, they carry interesting anecdotes you can learn from. I should have jot down her name when I asked her because it totally escapes me now. 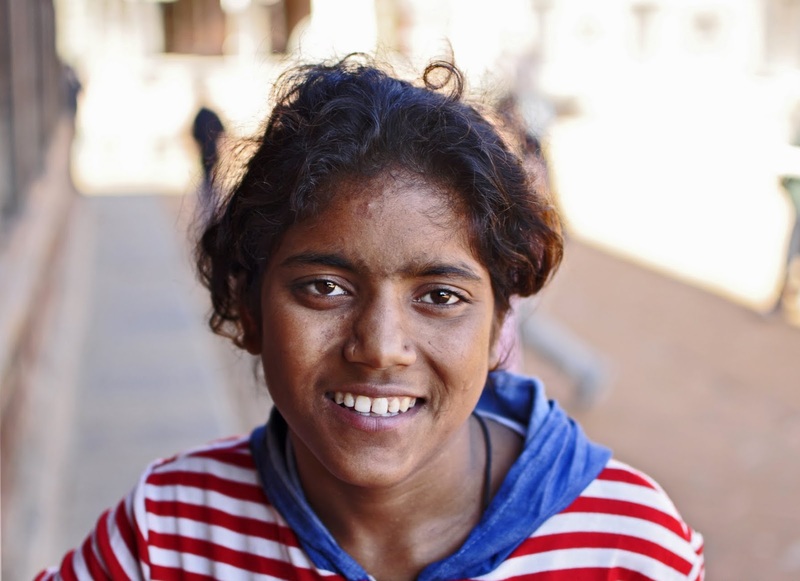 However, she's one you wont miss if you pass by one of the alleyways of Bhaktapur selling knitted items and donning a beautiful smile and a colorful saree. To maintain peace and order, the men in uniform are busy commanding their presence. 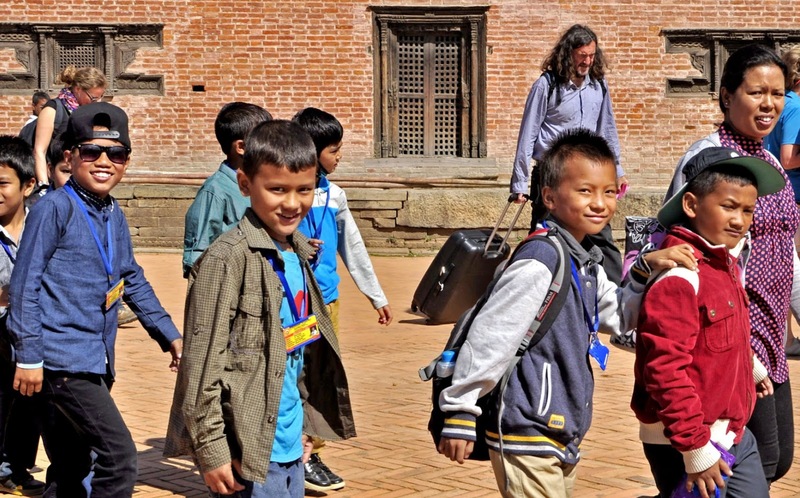 Walking around the Durbar Square, this kid approach me and said "Are you from the Philippines?" She mentioned a friend from the Philippines named Katrina. So Katrina, if you happened to see this, she said HI! Just few of the tourists you'll come across enjoying their stroll of this place mostly referred to as a Living Heritage. Hardworking humans of Bhaktapur earning their day's worth at the Pottery Square. He's a Sadhu. 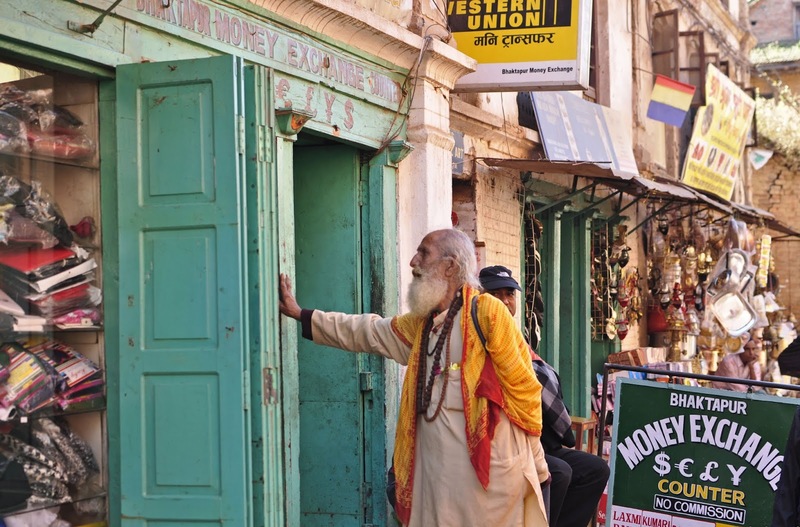 In Hinduism, a sadhu is a wandering holy man who have renounced their worldly life, their possessions and their families in search of enlightenment. They just alighted from their school bus on the way to their homes when I called them and said "hey boys, how's school?" They looked and then smiled when they saw me holding a camera. Apparently, school is fun and they like being photographed. 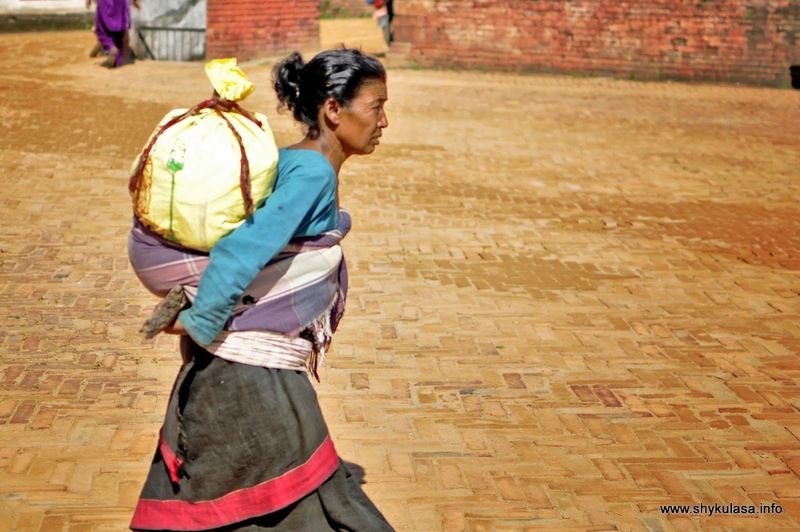 In hurried pace with a heavy backload and unmindful of her surroundings, this lady is rightfully minding her own business. "How much"? I said while pointing to the singing bowls. She seemed lost in thought while holding her baby in her arms. 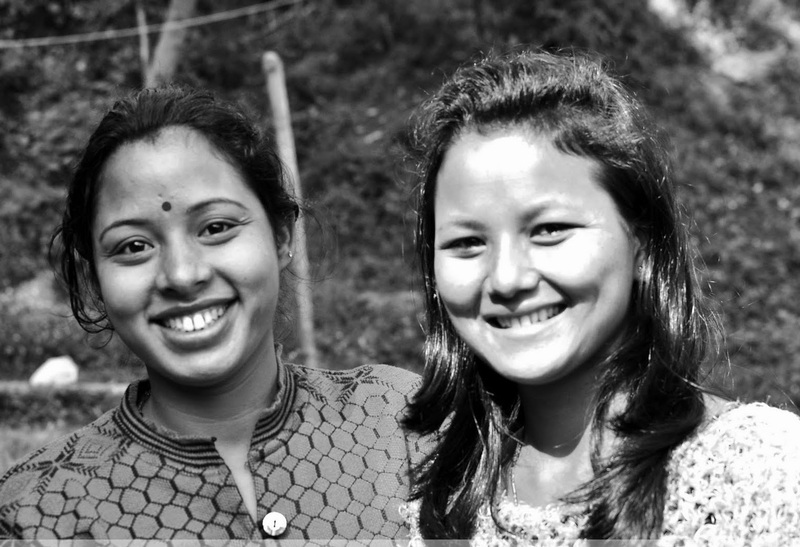 They are the beautiful ladies of Heart of Bhaktapur Guesthouse who will gladly assist your every concerns while staying in the city. The nice and unassuming couple who founded SUVADRA, a non profit organization who provides help and care to children with disabilities in Nepal. Together with this, they built Heart of Bhaktapur Guesthouse (where we stayed) to assist in funding the needs of the children's home. 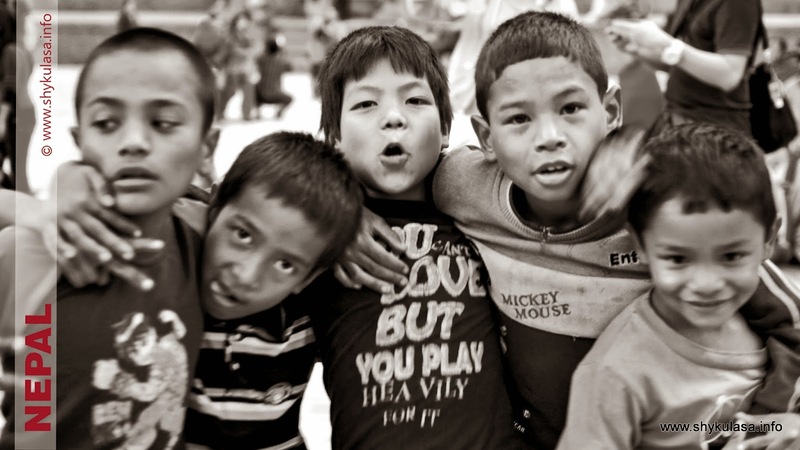 By staying with them, you directly support the children. 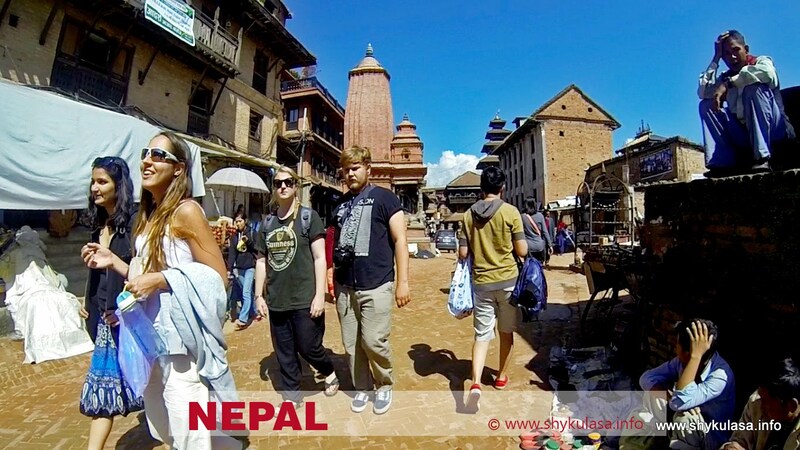 More than the architectural splendor of Bhaktapur are the efforts of the locals to continue to preserve the medieval period charm of this ancient city so that every foreign visitors can experience the lifestyle of centuries back. 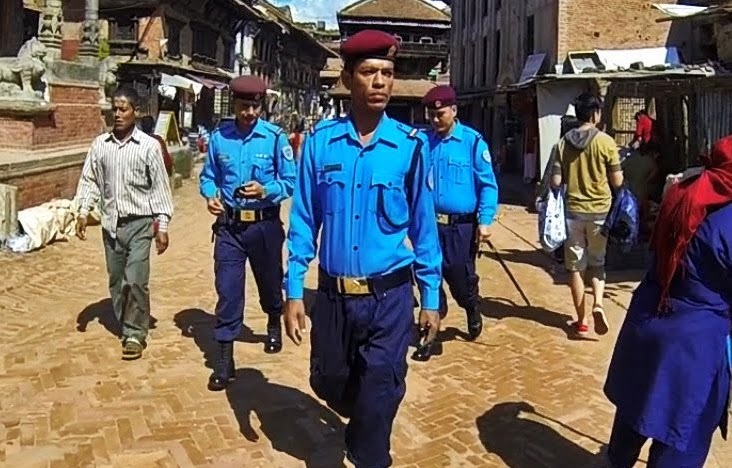 Regardless of how some might feel like an intrusion to their private lives with the constant clicks of camera thrown their way capturing their way of living, the humans of Bhaktapur have learned to ignore the invasion of their privacy. Tourism is what keeps the city afloat, it's their way of life. Nevertheless, it's always proper to ask and get to know the locals first before hitting that shutter and sharing their stories. 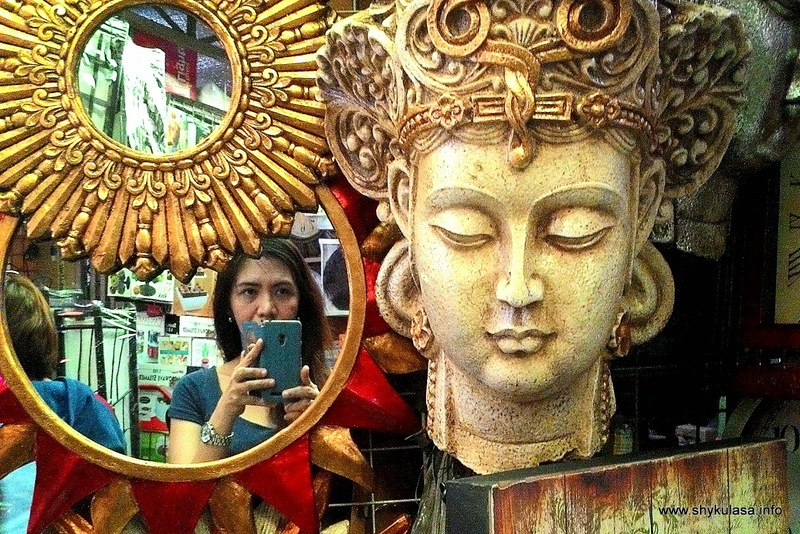 Dapitan Arcade is a treasure trove for homemakers looking for affordable house decors. 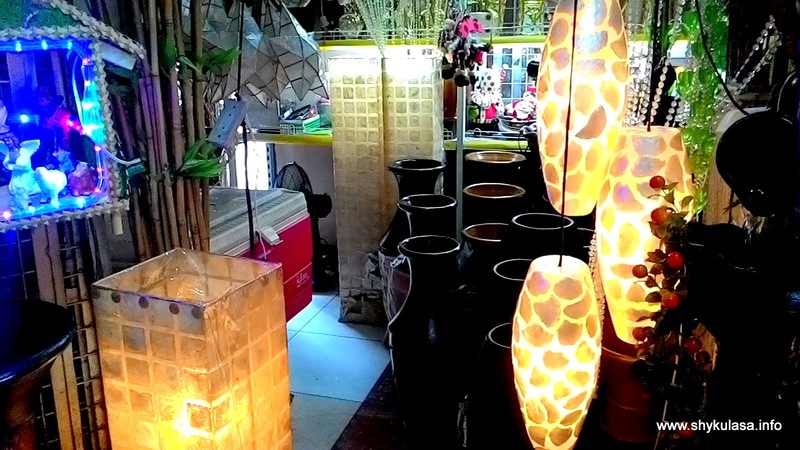 It's our to go place when hunting for reasonably priced house decors, handicrafts, wood furniture, kitchen wares and even plants and pots. 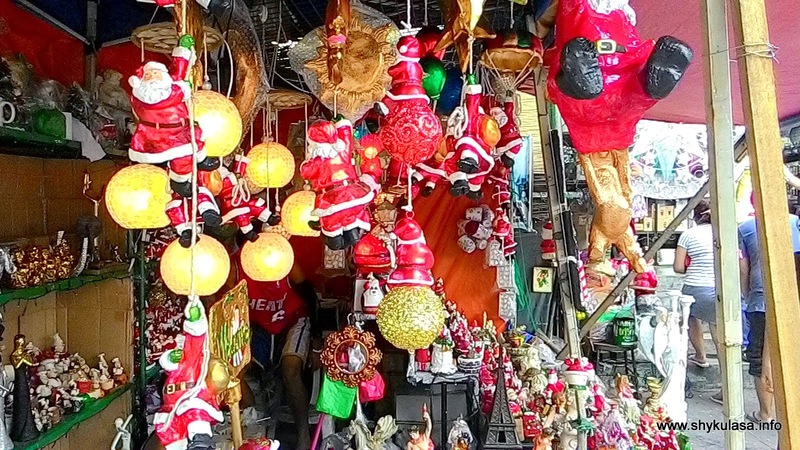 We went to Dapitan Arcade last holiday season to look for Christmas decors and some items we could use for our home makeover and we did find some interesting stuffs that aren't usually available at department stores. 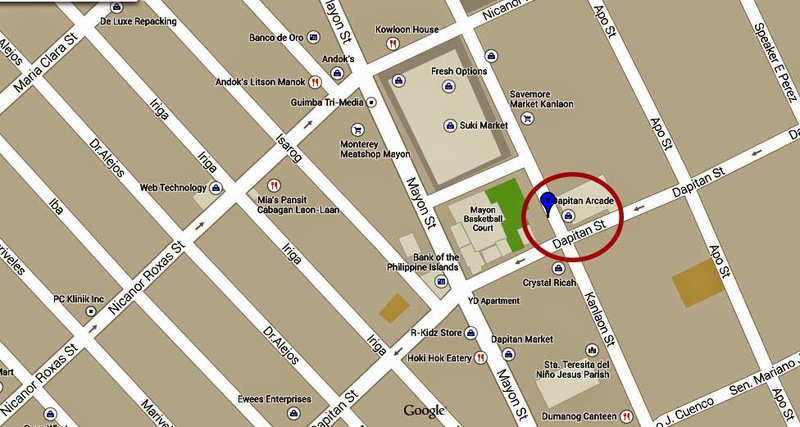 Dapitan Arcade is located at the corner of Kanlaon St and Dapitan St in Quezon City. It's a small building but outside and around the vicinity are several stalls who also sell some of the items you'll find inside but at better prices (well, that depends on your bargaining skills). 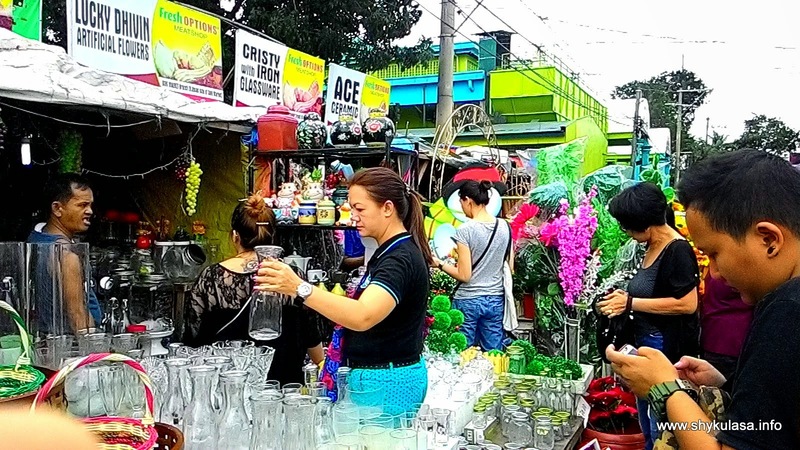 The area isn't overwhelming unlike Divisoria or Quiapo. 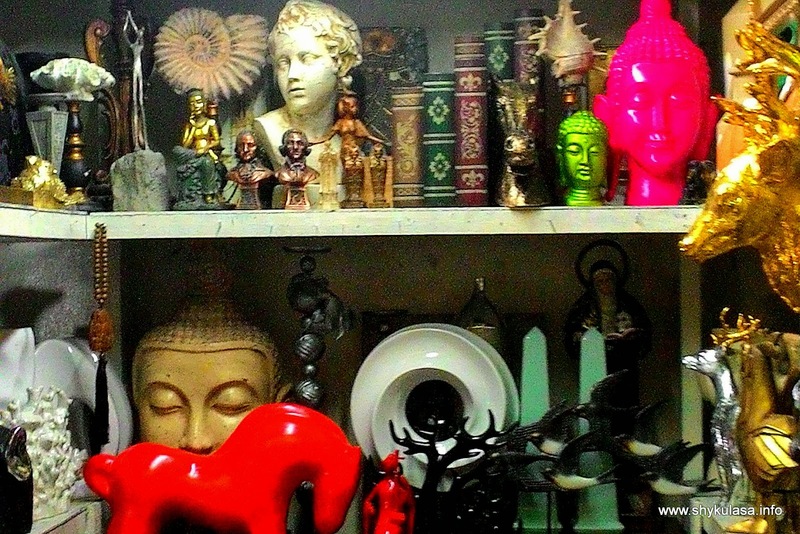 You'll probably need 30 minutes to scan the place and source for what you need but most likely you'll stay longer because of the many interesting house decors you spotted while going around. It's more ideal to bring your car when going at Dapitan Arcade because I'm pretty sure you'll buy things that are more than a handful. 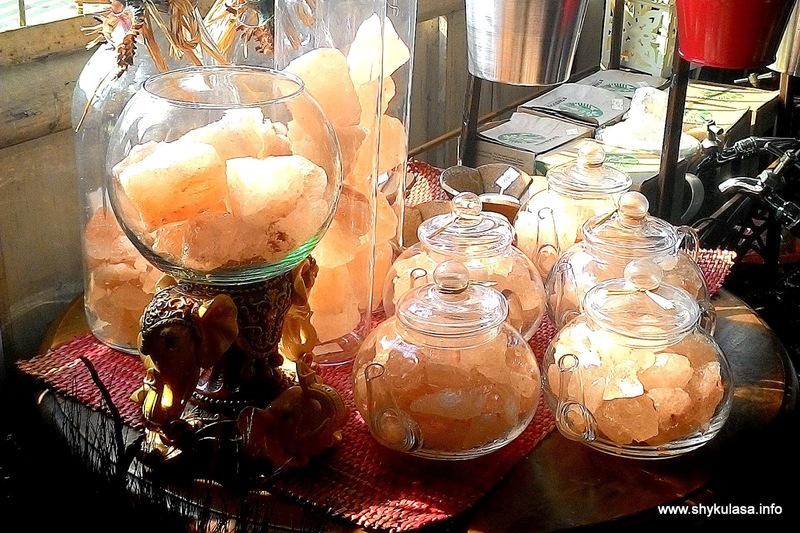 I was surprised to find Himalayan Salt Lamps at Dapitan Arcade. I bought one when I went to Nepal. You can find this at the 2nd floor of Dapitan Arcade, the only store on that floor. 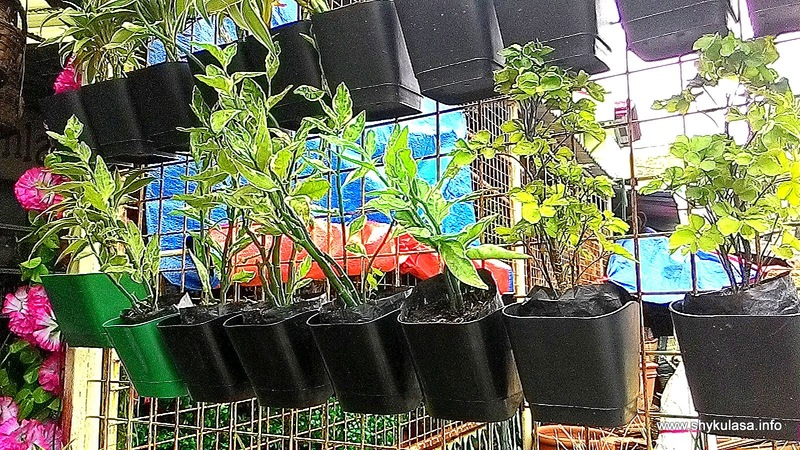 I've been looking for these hanging pots and luckily find them in the area. However, if you're also sourcing for this now, you can already find them in Divisoria, around Sta Elena and Juan Luna for 15 pesos a piece. I got this here at 20 pesos a piece. 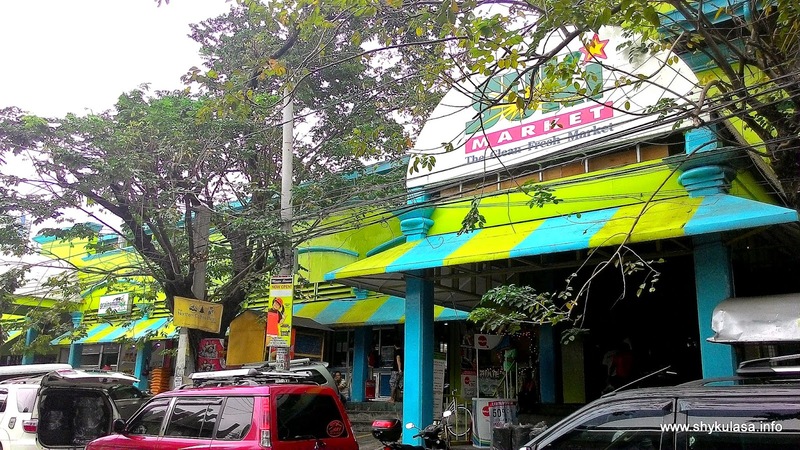 And while you're there, a few steps away from Dapitan Arcade, you can drop by at Suki Market for some fresh market finds. 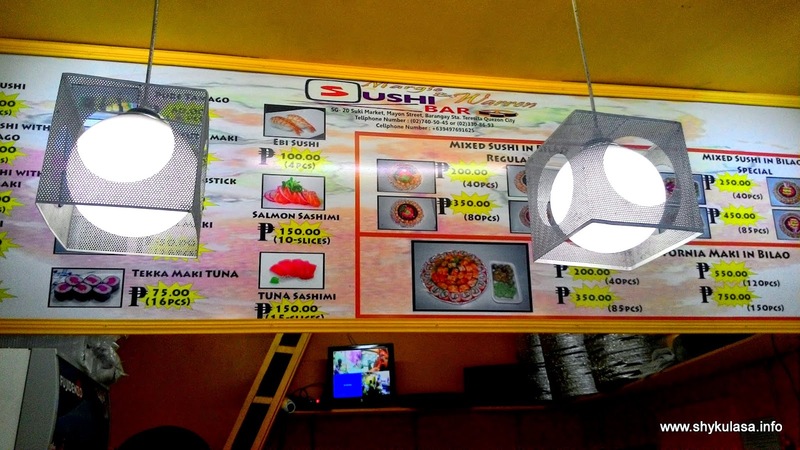 You'll also be surprise to see plenty of sushi shops inside and shabu shabu ingredients offered at more reasonable prices. 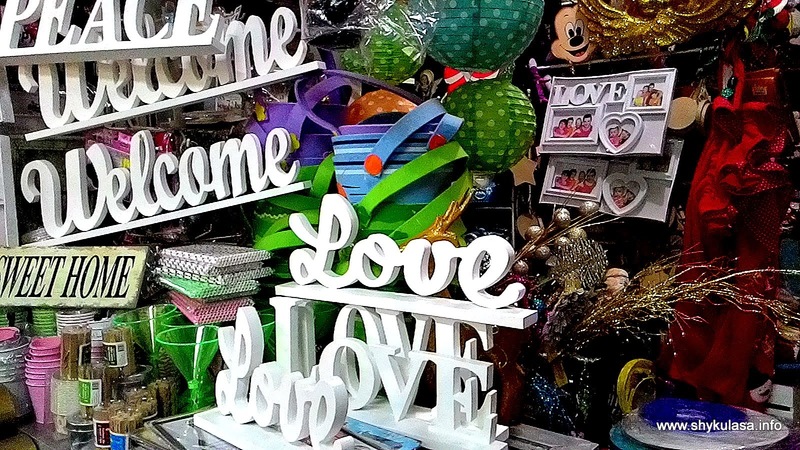 So, if you're doing a house makeover on a budget, Dapitan Arcade is your best source for affordable house decors.